Kopano Groupware Core 8.7 brings performance and security improvements. It is also the first release to include a range of new components for the Kopano platform. These new components include support for OpenID Connect through Konnect and a first version of our new REST API. 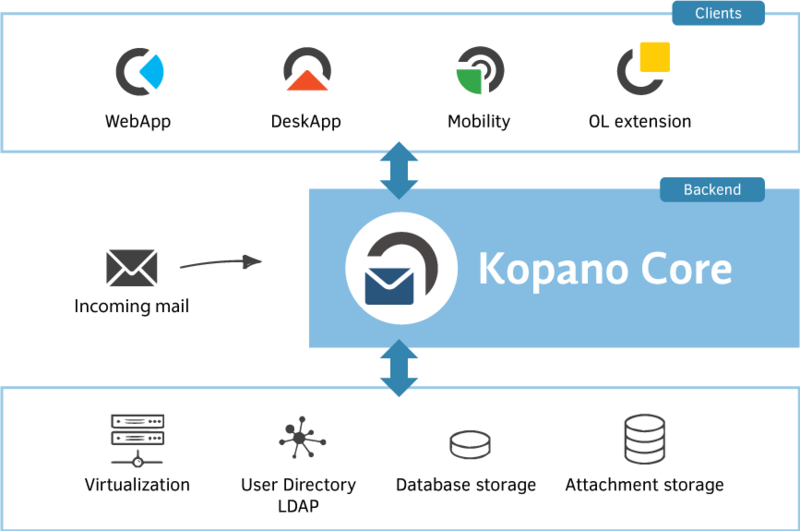 The Kopano API (KAPI), is modeled after the Microsoft Graph REST API and will make it very easy to integrate your Kopano data with external applications and clients. The first new client that will make use of KAPI is the Kopano Meet. At the moment, KAPI is only available for Debian 9, Ubuntu 16.04 and Ubuntu 18.04. Support for SLES and RHEL will be added later on. The usage of Kopano WebApp or Z-Push is not affected by this. In WebApp 3.5, emails can now be exported as .eml, calendar items as .ics and contacts as .vcf (vCards). These standardized formats can also be imported into your mailbox – whether you received them as an email attachment or have saved them somewhere else. 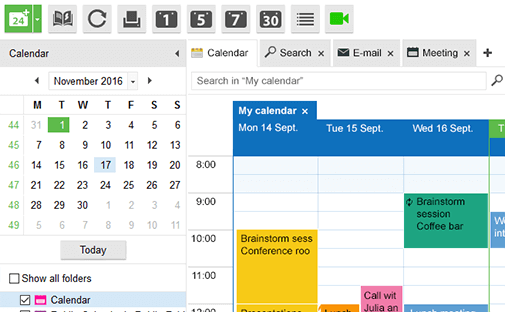 What’s more is that email messages can now be ‘grouped’ based on various characteristics such as date. Can’t find an unread email? At the top of your email list, you can now filter your unread messages. Last but not least is that the 3.5.0 release of Kopano WebApp comes with a new default icon pack called Breeze. The icons in this pack have been designed and supplied by community member Andreas Kainz – thank you very much @andreas_k! The highlight of WebApp 3.5.1 was the introduction of Keyword Query Language (KQL) support for search. KQL can now be used inside the search bar. Check out the forum or changelog for supported search queries and combinations. In DeskApp 2.1 we’ve changed the behavior of file download settings. In this new version, it is now possible to perform ‘open’, ‘save’ and ‘save as’ actions after a download. The ‘open’ action will save the file by default in your system temporary directory (this can be changed in settings). 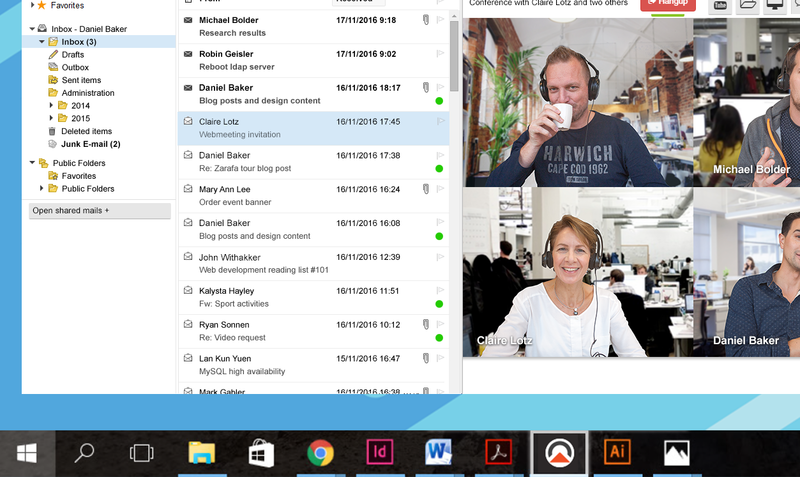 We’ve also fixed an issue related to deployment and user interface language.